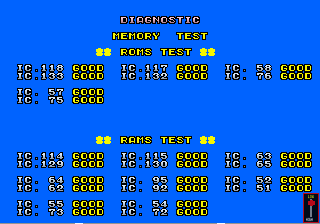 Here are some details of the visual differences between the first revision of the OutRun ROMs (deluxe sitdown) and the final revision (sitdown/upright, Rev B). Stage 1, Coconut Beach, has a different track layout. 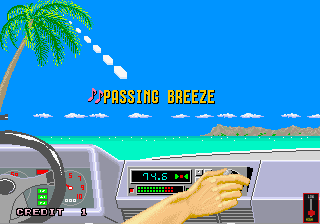 Notice the absence of scenery on the right hand side, and in the central reservation. 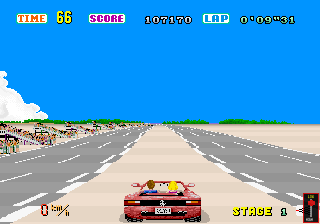 The dual lanes at the start of the track also merge more quickly into a single road on this version. Notice the strange positioning of the Flamingo huts on the right hand side of the road. 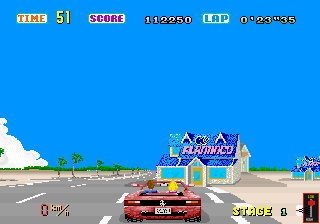 These are replaced with palm trees on the later revision. 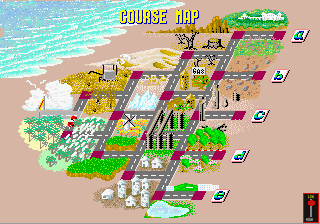 The well documented course map differences. Older revision shown top. 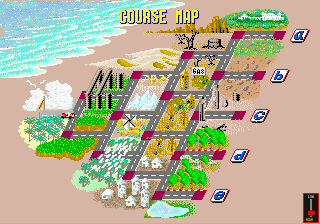 I presume the levels were reordered, so that the more visually impressive levels were shown earlier in the game. Service Test. 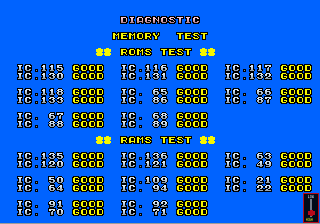 Lack of Backup Ram clearing. 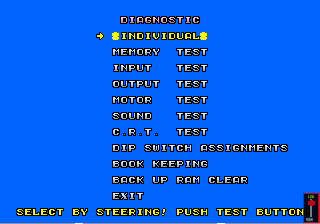 Memory Test. Deluxe Sitdown and later revisions. Can anyone find any more? 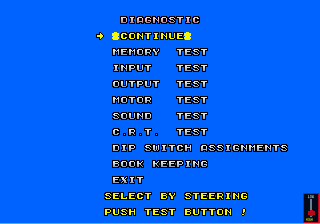 Once I complete the disassembly of OutRun, then it will be easier to compare the revisions to find out what other subtle, non-visual, changes were made. So interesting to learn about all these revisions. Interesting, thanks for this post!